Netflix has secured the international rights to the majority of the British comedy troupe Monty Python’s film and TV catalogue. The streaming service is also looking to produce new original content from the remaining Python members, according to Deadline. 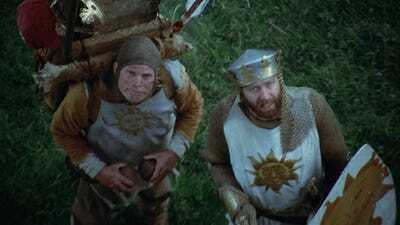 Netflix has picked up the majority of the British comedy troupe Monty Python’s film and TV catalogue, the group announced on Thursday. The titles will appear on Netflix in the UK, Canada, and other international markets starting on April 15, with a US release date “following later in the year,” according to the Python website. Deadline reports that Netflix is also looking to produce new original content from the remaining Python members, which include John Cleese, Eric Idle, Terry Jones, Michael Palin and Terry Gilliam.